It was with Aar Paar that Guru Dutt really arrived as a filmmaker to be reckoned with. The film was a crime thriller in the genre of Baazi (1951) but by now with Jaal (1952) and Baaz (1953) also behind him, Guru Dutt had polished his skills and Aar Paar stands out as among the best of the genre. The film, following the adventures of a taxi driver, bears resemblance to the Hollywood film, Drive A Crooked Road (1954) starring Mickey Rooney, and was initially titled BMT 112 (the number of the Taxi) and was to have starred Geeta Bali along with Guru Dutt. It was to have been co-produced by Bali’s sister but the failure of their previous venture, Baaz, put an end to the partnership. Bali too backed out of the film to be replaced by Shyama. Guru Dutt decided to produce the film on his own thus launching his production company. It was not easy. The failure of Baaz and the luke warm response to his performance in the film made distributors wary of him. They asked him to step down as the hero and take Shammi Kapoor instead. However, Shammi Kapoor, though struggling to establish himself at the time, saw the rushes and found Guru Dutt perfectly adequate. He also realized that Dutt was extremely keen to play the role. As the two were close friends, he told Dutt to tell the distributors that he had no dates. And so Dutt stayed on as hero! The plot of Aar Paar may now seem formulaic but scores in its treatment. The narrative flow is pacy and engaging, merging the elements of thrills, romance, action and comedy perfectly. Another great strength of the film lies in the way even the minor characters are fleshed out – be it the barman, the street urchin or the newspaper vendor. (This was one of the strong points of Guru Dutt’s films. And since he repeated artistes he worked with, the minor roles done in his films standout for their individual wit and integrity) And for once, characters spoke with a language that reflected their background. The hero is from Madhya Pradesh in central India so he speaks in a particular style. The garage owner, a Punjabi, spoke with a Punjabi slang. Actually a glimpse of this was seen in Baazi itself when the hero is asked for his last wish before hanging and in true and typical Bambaiya street language says “Ek special chai.” ie one special tea! One has to laud dialogue writer Abrar Alvi for taking the screenplay far beyond Nabendu Ghosh’s scenario. Aar Paar also marked the beginning of a most fruitful partnership between Alvi and Dutt that would see them collaborate on Dutt’s future masterpieces. Taking a further cue out of film noir, the city is very much a character in Aar Paar. Much shooting was done on actual outdoor locations of Bombay rather than confining oneself to the studios as was the prevalent style in those days. In fact, even the garage where the hero worked was shot on location at the South Indian Garage in Parel, a locality of Bombay. 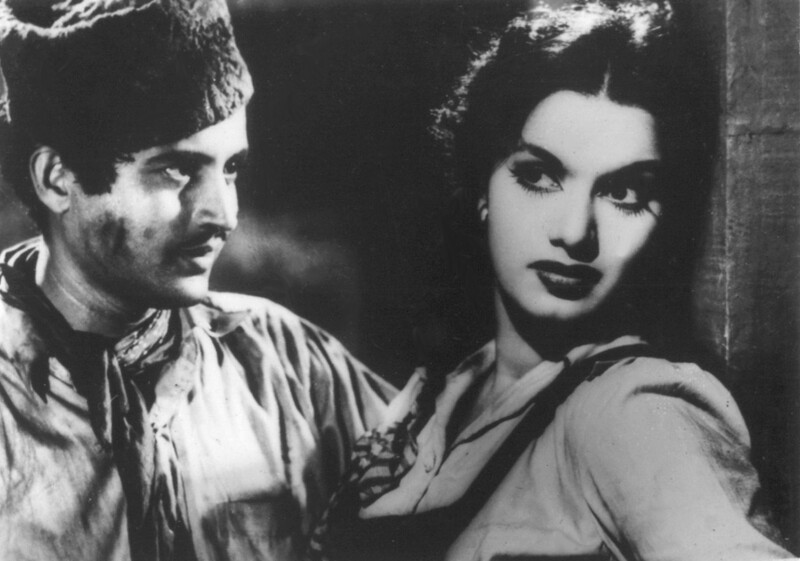 Guru Dutt acquits himself quite well and is casually charming in the lead role. It is a big jump after his awkward act in Baaz. Shyama makes the perfect cute heroine (cutting a lovely figure in dungarees) while Shakila is a saucy enough vamp. Good support comes from Johnny Walker, Jagdish Sethi, Noor and Uma Devi. Interestingly, Johnny Walker and Noor fell in love during the making of this film and got married a little later! In Aar Paar, Guru Dutt took his talent for song picturisations to several notches above the commonplace. Many directors choose to enhance the fantasy elements by setting it in unreal and glamorous locations but in Guru Dutt’s films, the songs are rarely separate from the personalities who enacted them. Songs in his films often take place in locations inhabited by the characters in his films. A fine example here is the romantic duet Sun Sun Sun Sun Zalima. The song is set in the stark and unromantic atmosphere of a garage with a car providing the centre-piece but the way the two lovers circle around each other within this restricted space is a brilliant piece of choreography. Further, Guru Dutt was very particular in sticking to the vocabulary of his characters even in the songs. And often started songs without any introductory music using it as an extension of the dialogue. Thus beyond considerations of language and space, the songs in his films appear much better integrated than in most Indian films. The other two songs whose picturizations deserve a special mention are Hoon Abhi Main Jawan in a warehouse and the title song where construction worker Kum Kum gives us a commentary of the Guru Dutt-Shyama love story developing. 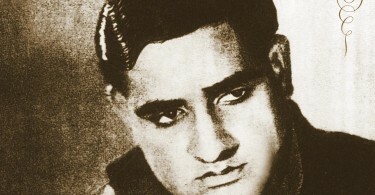 Aar Paar was a major turning point in the life of composer OP Nayyar who went on to become an extremely successful music director. Songs like Babuji Dheere Chalna, Yeh lo Main Hari Piya, Mohabbat Karlo, Ja Ja Ja Ja Bewafa, all sung brilliantly by Geeta Dutt, are remembered and hummed to this day. Though, it has to be mentioned here that nervous after the failure of Baaz, Guru Dutt made Nayyar rework hit records such as Quizas Quizas Quizas as Babuji Dheere Chalna so in that sense the score is not exactly original. Still Nayyar shows his immense skill as a composer in how he reworks Sun Sun Sun Sun Zalima – a peppy dance number – as the soulful Ja Ja Ja Ja Bewafaa.